Water can enter a basement through and (and every) opening available -- including cracks in the wall, floor, and windows. Pipe and wire penetrations in the walls are another significant point where water can intrude. As concrete cures and the home settles and ages over time, it's just a matter of time before a few cracks appear in your foundation and floor. If these cracks are deep enough, they'll provide a way for water to enter your home. When not addressed quickly enough, flooding through cracks can develop into a serious problem. 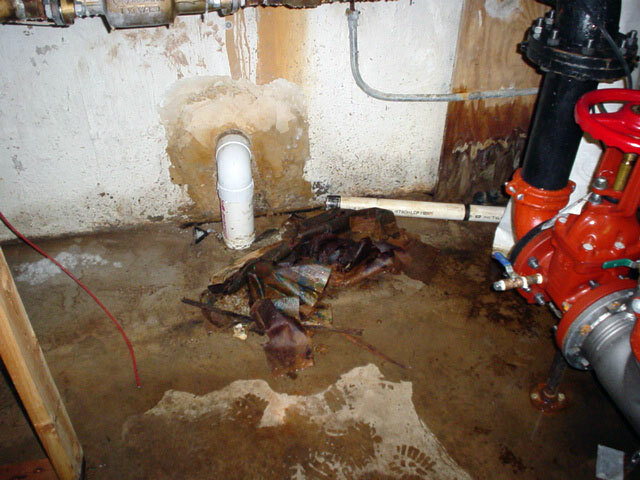 In some extreme cases, we've seen water literally gush in through openings in basement walls and floors. There are many crack repair solutions on the market. Most of them work some of the time. The key to repairing these cracks is to find a solution that will not work its way lost from the basement wall. This means that the system will either need to be mechanically attached to the wall -- or it must be able to flex with the concrete, which shrinks and expands with moisture level and temperature changes. 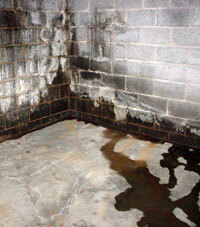 At Basement Systems, our dealers can provide you with warrantied waterproofing services that can solve flooding issues of any kind -- including leaky basement cracks. To schedule your free crack repair quote, contact us today! Our contractors proudly serve throughout Canada, the United States, and the United Kingdom. There are simple, permanent solutions for stopping water from leaking through any kind of basement crack -- whether it's in the wall, floor, or in your window. If you have an issue, our experts can solve the problem in as little as two hours, in some cases. Below, we show the products and techniques we use to solve each kind of basement issue. Or, if you don't see the answer to your question below, feel free to, visit our basement forum, where you can personally ask us anything you'd like! Hydraulic cement, caulk, waterproof paint, urethane, polyurethane, grout... there are a lot of wall crack repair techniques out there! At Basement Systems, we've been in basements every day since 1987, and we've seen it all. We explain what works, what doesn't, and how our award-winning, warrantied system can work for you. Homeowners are often at a loss about what can be done to fix a leaking crack in their floor. Should it be sealed? Does the floor need to be repaired or replaced? Our contractors have a great solution for stopping leaky floor cracks -- one that's warrantied to work! Why do floor cracks leak? 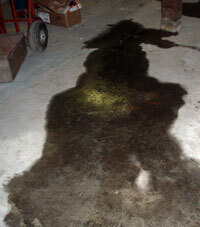 Why should you fix your leaky basement floor? Water will find its way into a basement any way it can -- including through your basement windows. A basement window can leak even when a full perimeter waterproofing system is installed. 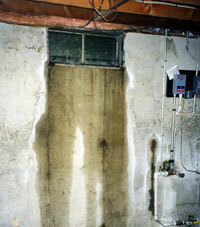 This water can leave ugly stains on concrete walls, soak fiberglass insulation, and damage wallboard. We have a simple solution to prevent this problem once and for all. 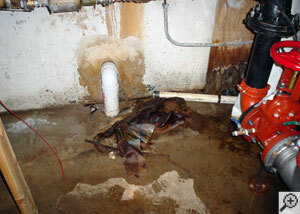 We Have warrantied Repairs For Leaking Basement Cracks! At Basement Systems, our dealers specialize in transforming wet basements into dry, usable space. Our solutions include a written, transferable warranty, and a fast, effective installation from an established, reputable company in your area. Our basement services have been provided to tens of thousands of homes throughout the United States, Canada, and the United Kingdom for well over 20 years, and we know we have a solution that will work for you! 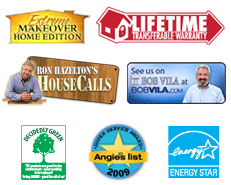 Contact us today by phone or e-mail for your free, written waterproofing quote! Your free quote includes a professional on-site inspection, a complete consultation, a customized cost quote, and a full-color copy of our basement waterproofing book!